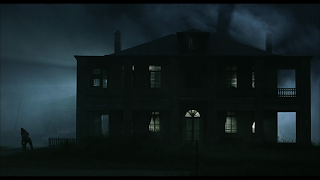 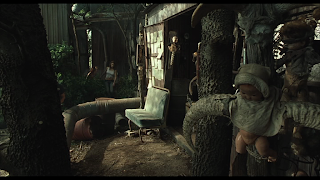 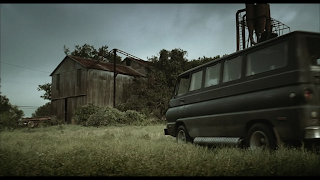 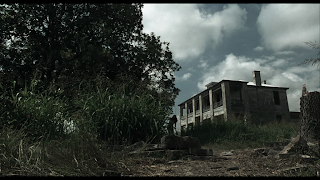 I'm going to post up some quick screenshots from the remake of the Texas Chainsaw Massacre (2006) I watched it to get some inspiration for my scene for this project.I focused on the external shots of the house as well as the scattered junk and rusty surroundings. 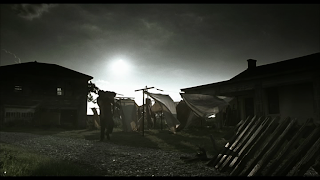 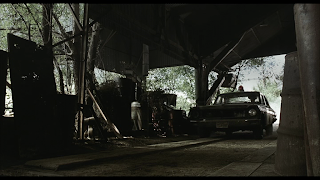 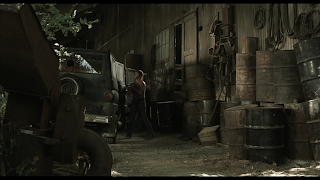 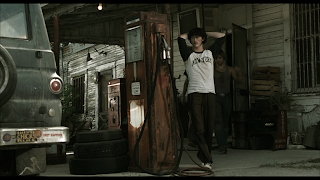 I really love the cinematography of this film; the old abandoned buildings with the rusty 'fallen-America' surroundings. 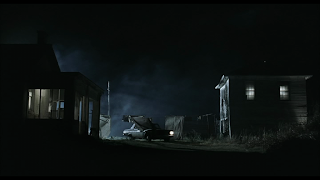 Everything seems dangerous and eery including the most innocent of things, such as family photographs that the group find and toy dolls. 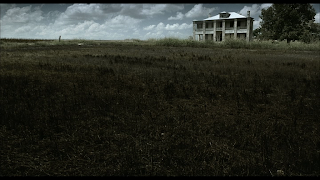 Hi Sam - I haven't said so yet, but I really enjoyed your previous post in which you were reacting to some of the analysis you've been reading of horror movies... you see, everything is meaningful - or at least, as audiences, we can derive meaning from films in unexpected and exciting ways... meanwhile, love these screenshots; I didn't rate the movie - and if you haven't watched the original - you should - but, yes the house is wonderful in the remake - that shot of it, with the house squeezed into the top right corner is wonderful.